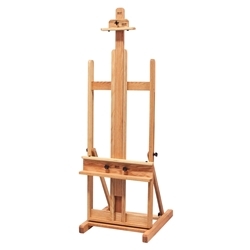 Best Classic Dulce Solid Oak Easel - An elegant studio easel for the serious painter. Each BEST Easel is made of American oak, sanded to a smooth surface, then hand-rubbed with oil to reveal the inherent beauty of the wood grain. The craftsmen at BEST nail, glue, and wood screw every joint, guaranteeing strength and precision. Only the highest quality hardware is used as these easels are constructed to last a lifetime. 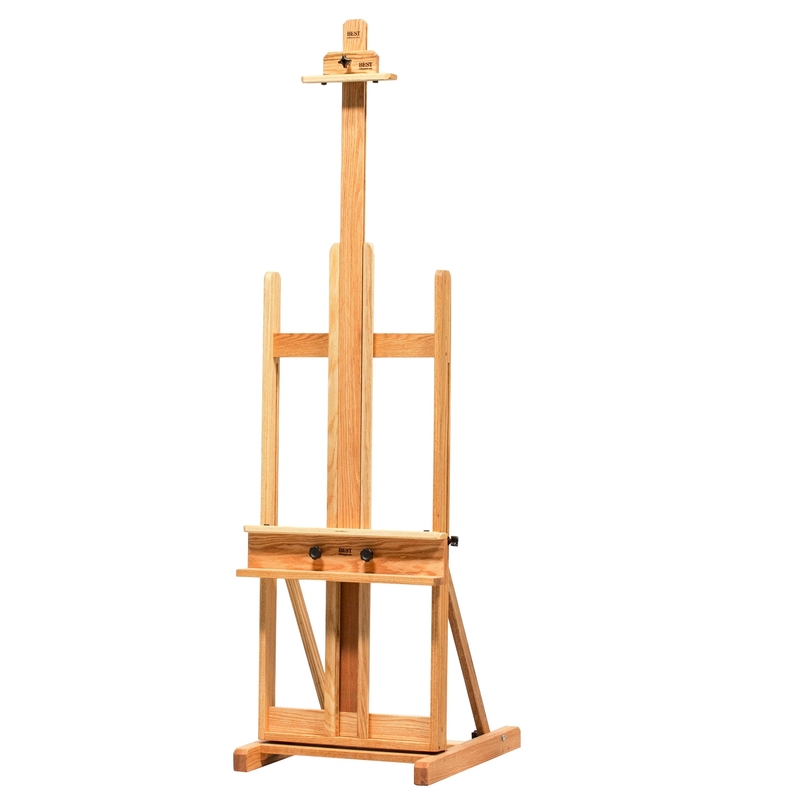 Minimum easel height 54 inches, maximum height 90 inches. Base measures 22 inches wide by 24 inches deep. Holds canvasses up to 7ft high. 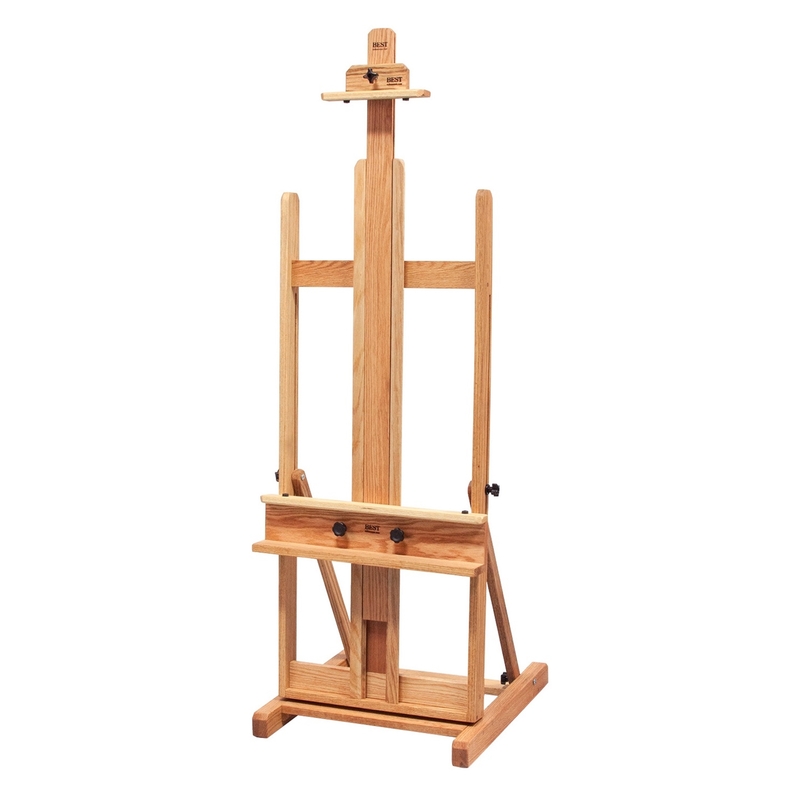 This easel can be shipped by UPS for $39.00 anywhere in the 48 contiguous states.